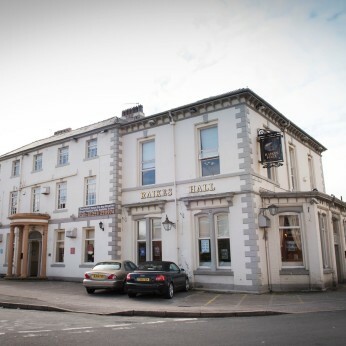 The Raikes Hall is an attractive and stylish pub that lies in the very heart of the famous seaside resort of Blackpool. The pub offers a large and comfortable lounge and bar area, a newly refurbished function suite and an amazing beer garden that traps the summer sun and for the colder nights of winter we now have heaters to keep you all snug when out in the beer garden. A darts board, pool table and large screen tv’s cater for the sports fans, whom can enjoy a tasty cask ale (Doom Bar), ice cold lagers and fine wines that cater for all tastes.